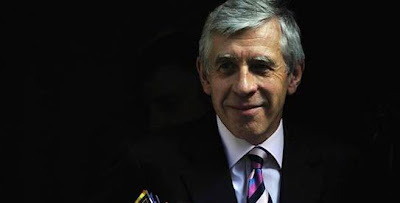 Nearly a decade ago, on April 2, 2003, British parliamentarian Jack Straw was steadfast in his support for the recent invasion of Iraq. “Saddam's removal is necessary to eradicate the threat from his weapons of mass destruction,” insisted Straw, who was then serving as Tony Blair’s Foreign Secretary. Years later, in testimony before the UK’s Iraq Inquiry, Straw regretted his critical involvement in the decision to go to war. Saying he acted "on the basis of the best evidence available at the time,” Straw spoke of the “profoundly difficult moral and political dilemma" he had been faced with, especially considering his belief that the official U.S. policy of regime change in Iraq to be "improper and unlawful." Such errors, if the recently renewed threats of war emanating from both Washington and Tel Aviv are to be believed, are currently being repeated. This time, however, Jack Straw isn't taking the bait. In an oped published late last month in The Daily Telegraph, Straw outlined the importance of continued negotiation and diplomacy with Iran over its nuclear program and the absurdity of threatening military action. What Iran seeks is twofold. First, it wants its “full rights” under the NPT for civil nuclear power. It can fairly point out that three nuclear weapons states – Israel, India and Pakistan – have always refused to join the NPT, while North Korea, now boasting about its atomic capability, withdrew from the Treaty in 2003. Second, it seeks an end to its international isolation and a recognition (especially by the US) of its regional status. To be fair, Straw has long opposed military action against Iran. In 2006, he dismissed reports of a potential U.S. nuclear strike on Iran as “completely nuts,” and said that there was “no smoking gun” to justify any attack on Iran despite the allegations about its nuclear program. “We can’t be certain about Iran’s intentions and that is therefore not a basis for which anybody would gain authority to go to military action,” he told the BBC. Six years later, Straw maintains this position. “War is not an option,” he concludes. Let’s hope that - this time around - he’s right. Let America or Israel first attack the Iranian nuke sites and only later see if was the good choice. As you know, not only Israel pushes the US to attack Iranian's nuke but the Sunni Arab state as well.